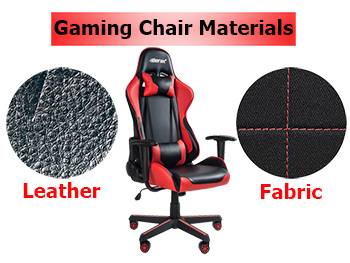 Even though it is often disregarded, the material of your gaming chair is a really important factor. 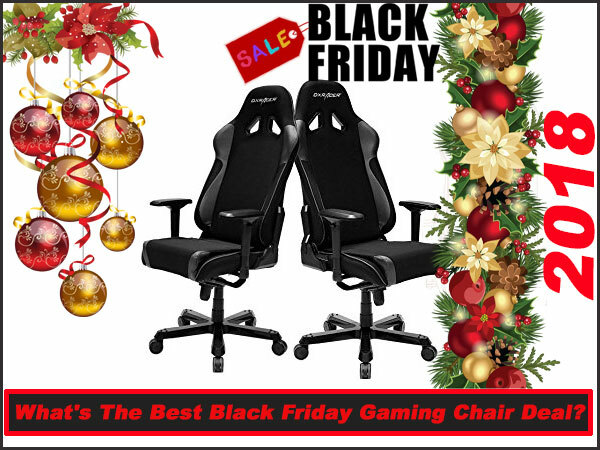 However, when shopping for these chairs, gamers only f ocus on aspects like ergonomics, adjustability, comfort, and price. It is often felt that the material of the chair doesn’t matter. This is a very wrong perception and in this article, we are going to see why it is important to carefully consider the material. So far so good, gaming chair brands use two types of materials to finish gaming chairs; leather and fabric. This is the same case also in sofas and furniture in general. However, there has been an unending debate on which of the two materials is the best considering they have their own advantages and disadvantages. In this regard, we are going to discuss several factors that should directly impact your decision when choosing the best gaming chair material. Leather vs. Fabric; How do they Compare? 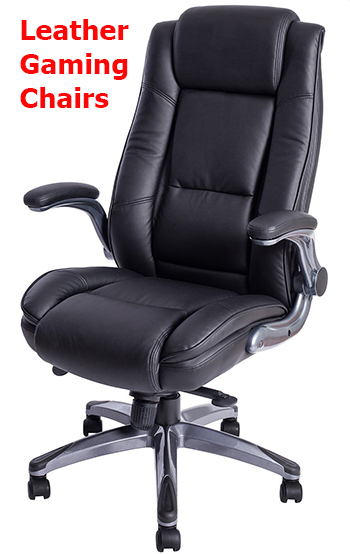 Leather remains the most popular office chair material and so it does in gaming chairs. It also remains the dominant choice courtesy of its class because everyone wants the prestige that comes with leather. Besides, it is very easy to maintain as it is easy to clean and doesn’t stain. Unfortunately, leather is expensive and is not as durable and comfortable as fabric. On the other hand, fabrics have remained resilient in the market because of two things; comfort and durability. Besides, it gives you a wide range of color options. The only shortcoming is when it comes to maintenance. Having said that, it’s time we focus on the aspects that should inform your decision on what material to go for; leather or fabric! In as much as design plays a great role in aesthetics, the material used is the game changer. Let’s see how these two match each other in terms of appearance. Leather is timeless and is considered a symbol of elegance and class. Luxury car manufacturers, fashion brands and furniture makers reserve leather for high-end products and the market is ever ready for these products. This is a phenomenon that is now becoming synonymous with gaming. Leather gaming chairs remain classy and this is what almost everyone wants to be associated with. On the other hand, fabric also leaves a mark as far as appearance is concerned. 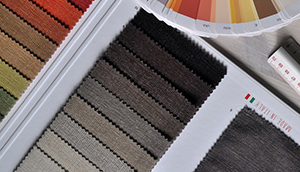 The advantage of fabric is that you can choose from many color options. Besides, you can find highly customized color combinations to match your interior design or theme. This is unlike leather that has a few stock color options. OUR TAKE: The winner when it comes to appearance is leather. 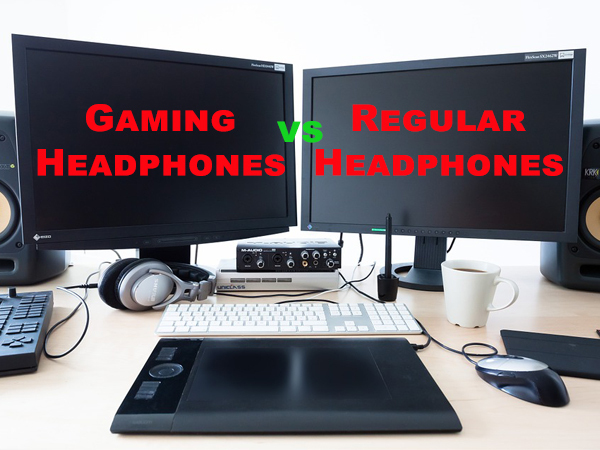 This is an important consideration when shopping for any other product and not just leather gaming chairs. The quality of materials used determines the overall durability of the chair. There are different types of leather. Most brands use PU leather, also known as faux leather. This is not real leather but it has been crafted to give the appearance and texture of real finished leather. There’s also genuine leather that is very expensive. In fact, only a few brands, like Noble Chairs offer real leather gaming chairs. When it comes to durability, it is all about the grade of leather used. Genuine leather is very durable; it only fades but doesn’t tear. When it comes to PU leather, there are two grades; Standard and Premium PU. Even though they are all susceptible to abrasion, scratches, and humidity, premium PU leather is more long-lasting. When it comes to fabric, the same law applies; it is all about the grade. 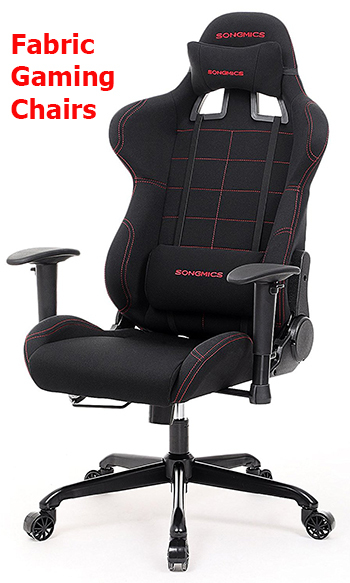 The durability of a fabric gaming chair entirely depends on the grade of the fabric. In general, however, fabric is more durable than leather. Besides, it can withstand paw scratches and tear when compared to leather. The only problem is that it fades faster than leather. OUR TAKE: Here, our best choice is fabric; lest you get genuine leather, which is very expensive, PU leather tends to start flaking off and wears out thinner. 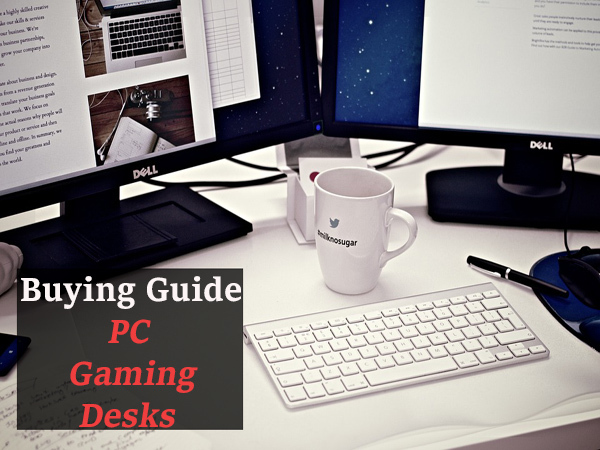 The reason why you are buying a professional gaming chair is to get comfortable gaming posture. 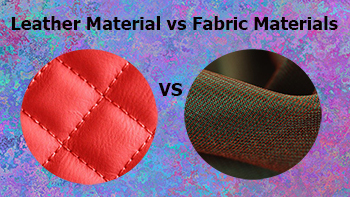 For this reason, you should know which material offers more comfort. When it comes to comfort, leather is not the best because it is rigid and not breathable. It doesn’t have ventilation so, in no time, you will start sweating; it’s worse when you have hyperhidrosis or you live in hot environments. Fortunately, if you end up buying it unknowingly, an efficient HVAC system and a Smart thermostat can help maintain your room temperature to reduce sweating. With fabric, there is proper ventilation courtesy of the mesh material used. This allows air circulation to help you cool off even during summer. Besides, it is elastic and allows the cushion to freely move for maximum support and pressure absorption. OUR TAKE: In terms of comfort, fabric is better just because it is well ventilated to prevent sweating. Even though you might have been guaranteed durability, it is important to know which of these two materials is easy to maintain. Maintenance is very crucial as it determines the condition of your chair over time. Leather chairs are very easy to maintain for two reasons. First, leather is very hard to catch dirt and stains. The only dirt that this chair is prone to is periodic dust and maybe spills which don’t get inside the cushion. In the event they get dirty, cleaning them is very easy. You just need to wipe it with a wet cloth if you don’t have leather upholstery cleaner. On the other hand, fabric is very hard to maintain. Unlike leather, fabric gets dirty faster and in the event of spills, it absorbs the spillage. This gets worse if it doesn’t dry as the dampness leaves a fouls smell for days. When it catches dust, you can’t wipe it; you’ll need to thoroughly vacuum it for the perfect cleaning. This damages the fabric because of the high suction. OUR TAKE: When it comes to maintenance, leather carries the day. Research shows that over 50 million Americans have nasal allergies and 40% of children are also affected. Definitely, a good number of this are gamers. For this reason, you need to know which material is less hypoallergenic. One thing that leather gaming chairs beat their fabric counterparts in is that they are hypoallergenic. Leather is concealed and won’t have any dust mite and dander. Besides, even when pets sit on them, the hair shredded falls off. If you are an allergy sufferer, keep off fabric chairs. You will agree with me that fabrics tend to have more dust mite, dander, dust and other allergens. OUR TAKE: Leather is the best choice if you want a gaming chair that won’t harbor allergens that trigger nasal allergies. The battle between leather and fabric material for gaming chairs is hard to call. This is because there are several other factors that should inform your decision. However, for the purposes of this article, we’ll have to give a verdict on which is the best material for a gaming chair. In our opinion, the leather vs. fabric debate can’t end conclusively. It is all about finding the perfect balance between looks and maintenance and durability and comfort. If you are looking for a classy gaming chair that is easy to maintain, then a leather gaming chair will be ideal. On the other hand, if you live in hot areas with no efficient HVAC system, I’d suggest you sacrifice appearance and maintenance and get a fabric chair that will guarantee the best comfort and durability! That said, the verdict on which is the best gaming chair material remains unto you. Know your needs and make the choice!